Connect with Rod & Marianne! We would love to hear from you, meet you and encourage you in a deeper walk with the Lord through encountering Him and His healing in your journey. We became Restoring the Foundations ministers in 2012 (Marianne) and 2015 (Rod). Called to the nations, we want to take healing to the global Body of Christ as the Bride needs preparing for His return! We see Restoring the Foundations as a ministry that relies on the Holy Spirit and is moving forward in Apostolic Reformation and the “One New Man” concept. 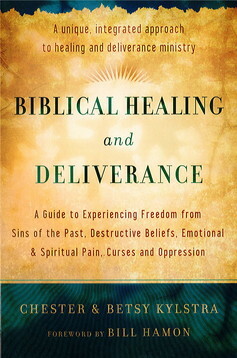 Due to the way ministers are healed, trained and equipped, this Bible-based ministry is very safe and uses the integrated approach – ministering to all four areas that need healing and restoring. By getting to the root and heart of people’s issues, Restoring the Foundations ministers lasting healing, allowing people to see themselves as the Father sees them, which helps release them into the fullness of their destiny. This ministry also helps heal relationships and improve communication and fellowship, resulting in more healed marriages and families. And since families are the basic building block of the Body of Christ, Restoring the Foundations is rebuilding the family of God. Having been set free from abandonment, freemasonry, occult, abuse and victimization, we have a high value on loving and honoring people. Our aim is to see people healed, restored and set free. Our focus is to encourage, exhort and equip ministry receivers with the truths of Restoring the Foundations in a way that they feel loved, safe, welcomed, listened to, relaxed and informed. We can offer a variety of training seminars that facilitate healing and equipping, including Issue Focus and Thorough Format ministry training and mentoring.